Counting credit card debt, student loans, interest payments and mortgages, total household and consumer debt rose from $13.2 trillion at the end of the first quarter of 2018 to $13.5 trillion by the close of the third quarter. The future looks grim for the upcoming generation with student debt topping $1.5 trillion. Everyone’s asking, If the economy is booming why am I deeper in debt? And, If the stock market is booming why am I making more withdrawals than deposits? But the stock market is an insider’s market that the average American is not privy to nor invests in. What would one use to invest? A credit card that’s maxed out? The Jews will laugh at you. For it’s the Jews that rule Wall Street, who manipulate markets, and have the capital to finance industry, most of which (despite the hype that manufacturing has ‘come back’) resides in China and Mexico where low wages mean higher profits, and low-grade products. China and Mexico are good manufacturing habitats for the likes of Jews like Gary Cohn of Goldman Sachs and Jamie Dimon of JPMorgan Chase. Jamie Dimon is NOT “Greek.” Dimon’s parentage were heirs of Smyrna’s prominent Jewish banking houses. Dimon, characteristically of his race, chose a Jewish wife, and his mother looks SO Jewish. IF THE ECONOMY is booming then why are so few repeating the benefits? As Trump and Obama scrap over who hatched the ‘boom,’ the reality is that half the population earns under $30,000 a year, while 1.4 percent earns $250,000, (which hardly ranks as ‘middle class’), and 1 percent earns over $425,000 per year, the lion’s share in Jewry’s lair. 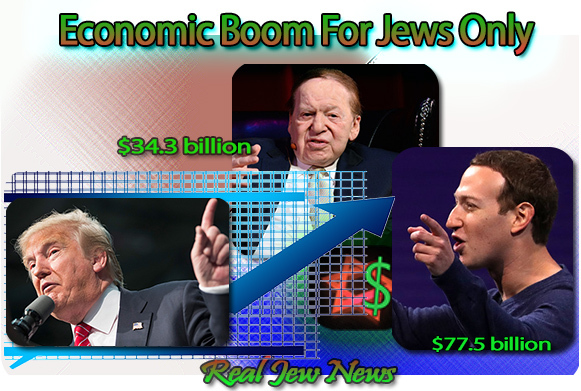 Jews enjoy the juiciest portion who are predominant in the professions, proprietorships, commodities, hedge funds, real estate, legal positions, financial services, media, high profile government jobs, and the import-export trade. Yet less than one-third of one percent of Jews serve in the military. ONLY the goys die young in wars for Israel, Jews do not send their own. What don’t the Yids own in this Zio-occupied country save the souls of those who won’t bow down to them? A Hershey bar that went for a nickel in 1958 goes for two bucks today. WE WERE ONCE a thrifty producer and saver nation, paid cash for everything, bought high quality goods with the idea they’d last a lifetime, and the only debt carried was on a home mortgage of which most paid off within 20 years. Graduates fresh out of college could afford a home and start a family but today with huge student debt they pack en masse into rentals or live with their parents. The grim irony is that they’re trained for jobs that don’t exist and must pay up the wazoo for loans that bought their useless schooling. Topping it all, the crisis is about to get worse. And they don’t give a damn about Jewish matters. Though silent, they’re on to the Jews. 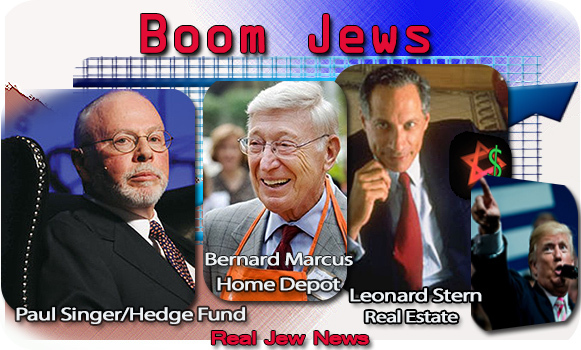 The economic rut they’re in, and what they know, bodes ill for all things Jewish.